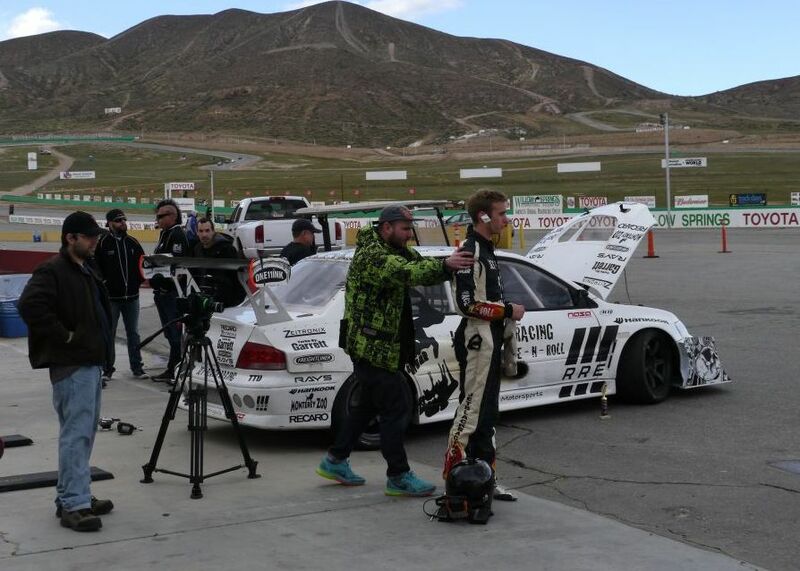 Here is some pure in car video of the Jet Black Racing RRE EVO 7 running with NASA at Willow Springs on the Big Track. Canaan worked through the weekend to get the lap times down to 1:25. That was good for First Place in the Open Class Time Trial class. 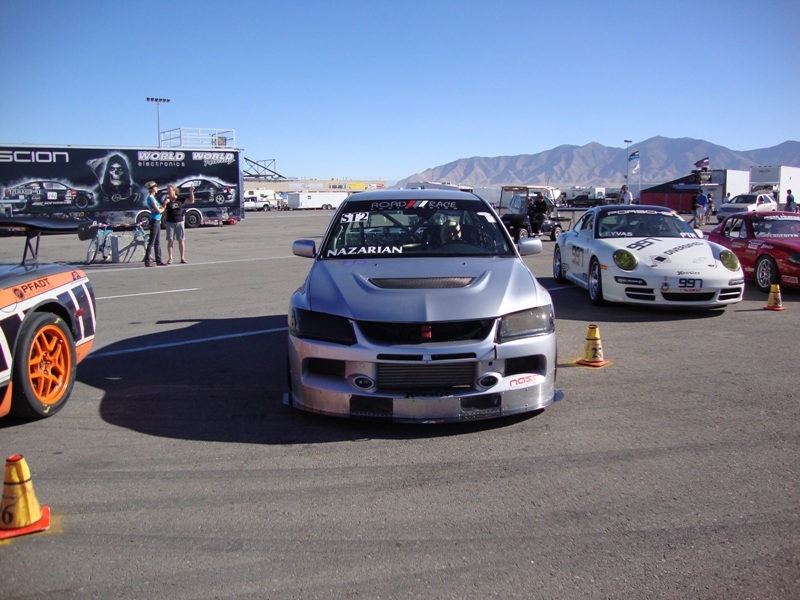 Joon Maeng debuted his new LS2 powered S13 at the Las Vegas Formula D this weekend. We just finished building the new car over the last month and a half. 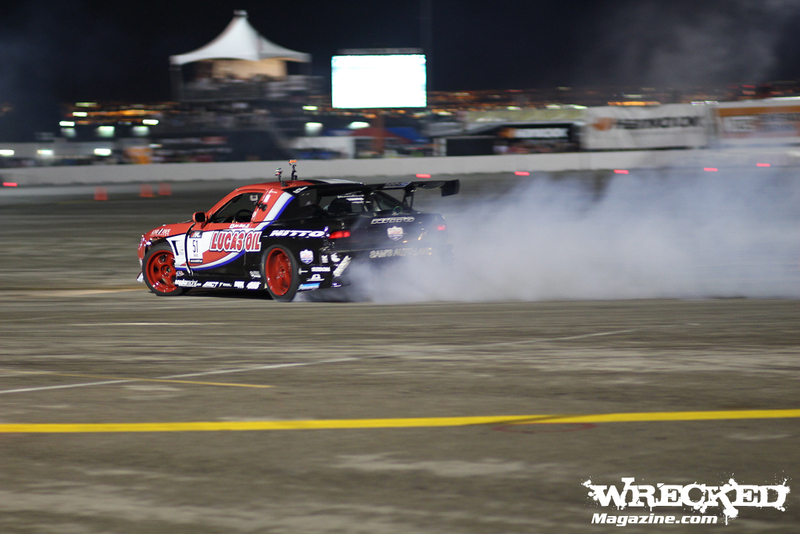 Joon lost his ride in the Nitto Tire RX8 with Ron Bergenholz just before the Seattle Formula D round. Joon had a S13 bare shell in the wings waiting and all the guys at RRE chipped in with some serious long all nighters to get the new car built and running. 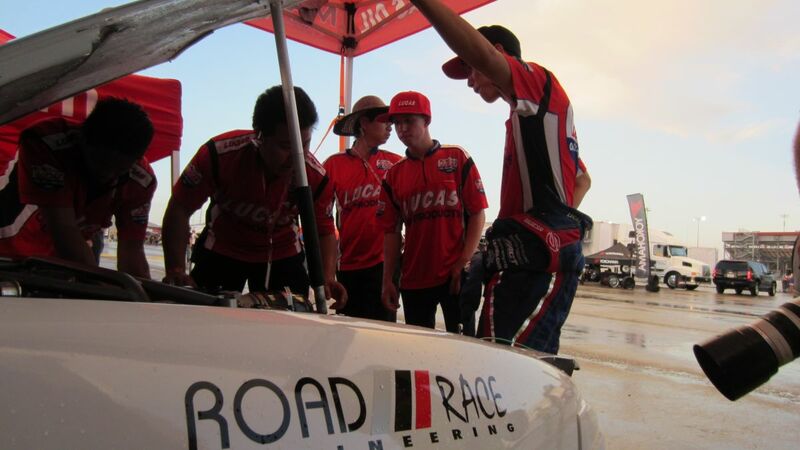 Lucas Oil and American Real TV have always been a personal sponsor of Joon. 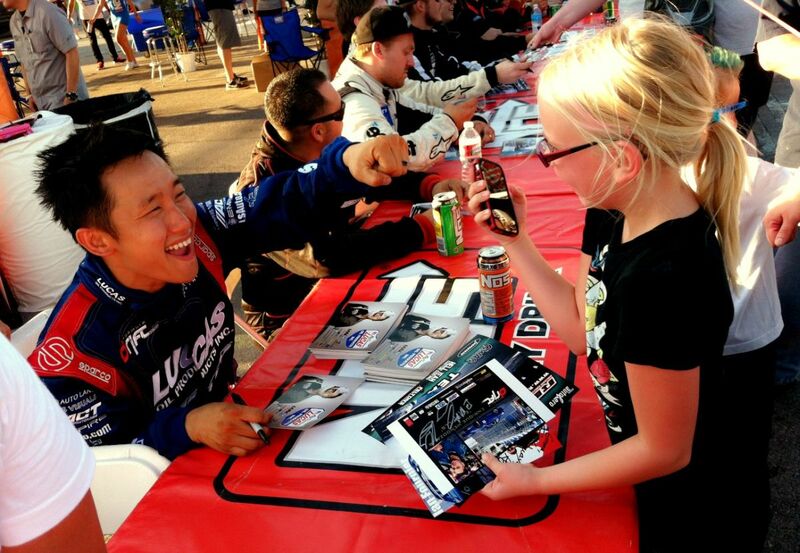 They both are really helping to get Joon to the last two races of the FD championship this year. And the other as American Real TV. 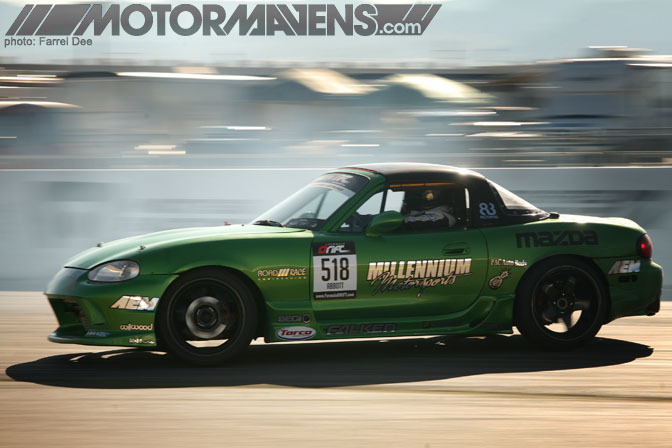 After being let go from Bergenholtz Racing, Joon Maeng decided to continue as a privateer in the Lucas Oil/Nitto Tires V8 S13 240SX. 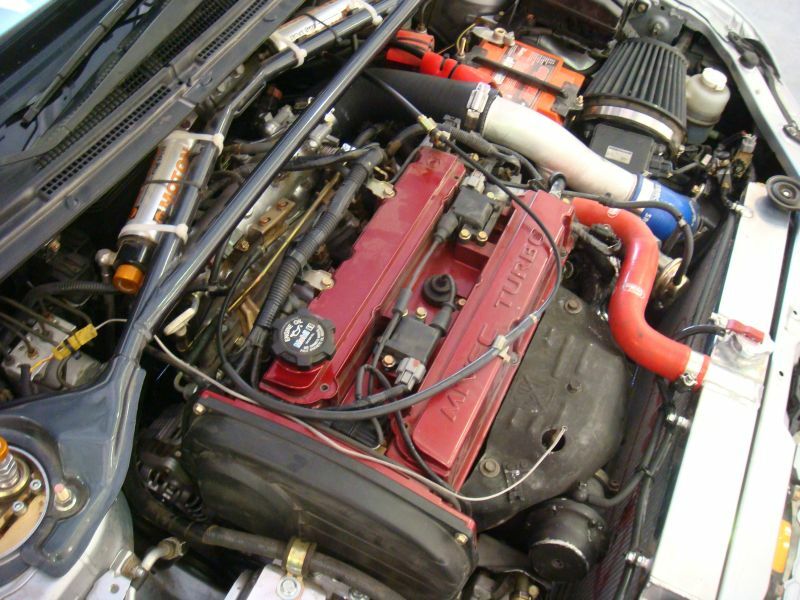 This car was a plain 240SX body shell that was built into the LS2 V8 beast you see here in just over a month and a half. 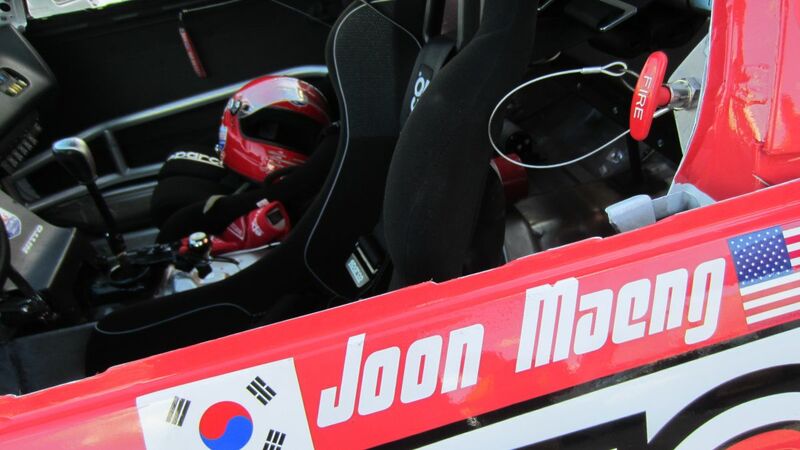 Nitto Tire, Sam’s Auto Land, Parts Shop Max, Feal Suspension, Westech Performance, ACT and many, many other companies stepped in to help Joon make this happen. With some final suspension adjustments Joon qualified 12th Friday night with a clean 82 point run. With the new course layout it was a night of big upsets. MotoIQ just posted a great interview with JOON MAENG. Before getting in to that however, I have to say, all that stuff you hear about Joon is true. I got the chance recently to hang out with Joon over the weekend at Redline Time Attack when RRE was out supporting his S13 for the event July 2-3 at Big Willow. Joon and I shared a hotel room, so we hung out a bit on and off the track. After careful study of Mr. Maeng, I have to say, he is just as cool as the media describes him as. 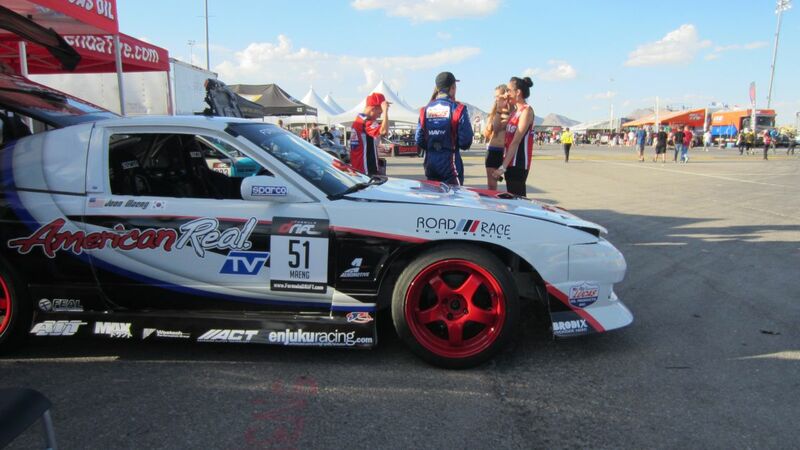 The guy has a magnetic personality and he is just golden to be around even when his car was overheating in the 112 degree heat (that translates to something like 10000000 degrees on the track). Joon took the whole weekend in stride, the ups the downs and even me, snoring while he was trying to get some sleep. It was a great weekend and I hope to get the chance to hang out with the RRE crew and Joon again soon!! ….enough said… Here is the interview. Don’t forget to check out MotoIQ!! Their site is worth at least a day wasted in the office at your cubicle monitor!! ALSO, I changed ALL the pictures on here, so the MotoIQ story will have pics. of Joon in his beastly RX-8. 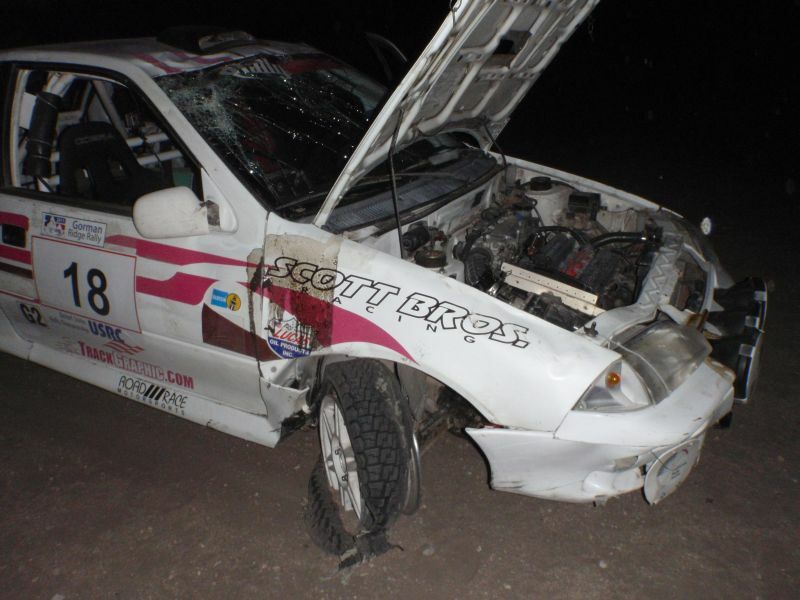 My 2010 race season is over. Reflecting on what I’ve encountered this year, numerous things stand out. I had a couple really exciting races this year. My win at ACS where I went from the back of the pack, to the front, and won the race on the last lap by .152 seconds. Battling the Mazda GTs at BRP. 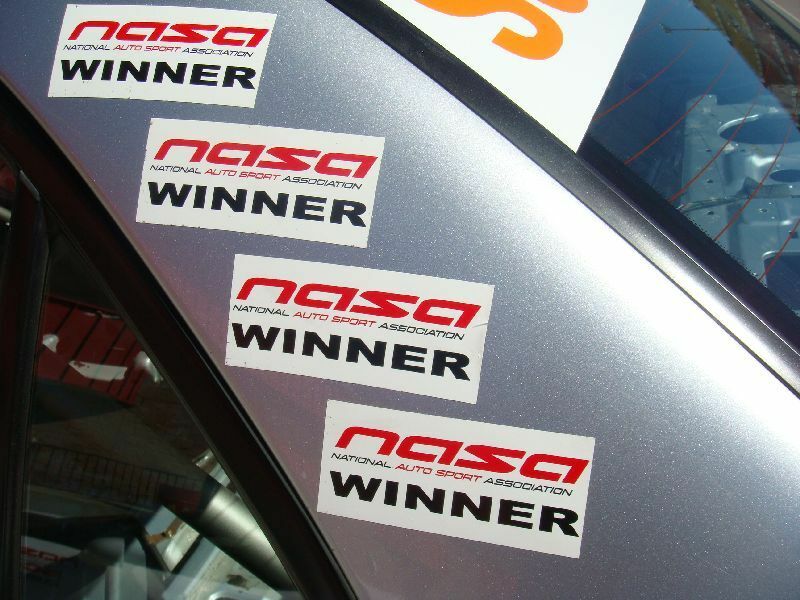 The 3 brutal days of racing at NASA’s National Championship. More than anything, finishing the National Championship race under some challenging conditions. 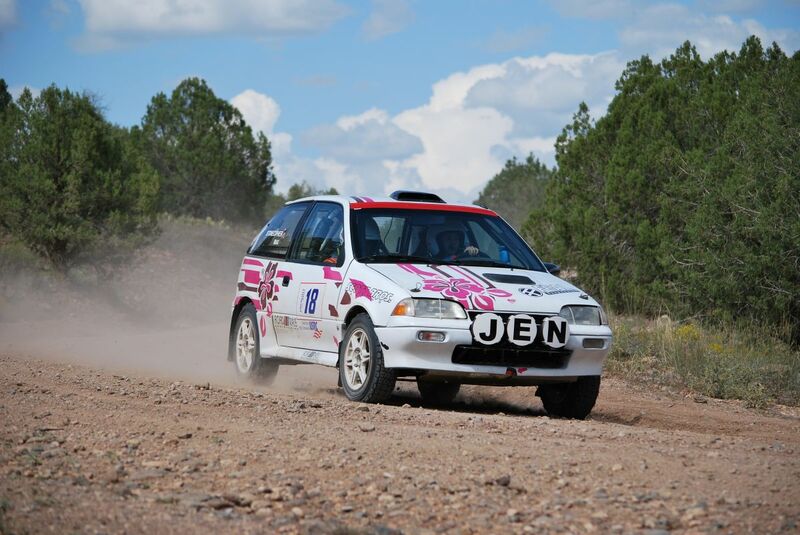 The more I race the more I learn, conversely, the more I realize how little I know. Other than that, I remember the transitions my car has endured. From adding the TRE rear-diff, to adding some aero on my car for the first time. All of which was made possible by Mike Welch, owner of RRE, and the entire RRE crew. Being the genuinely awesome guy Mike is, he gave me a diff that he shipped to TRE. This way we can keep my OEM diff as backup. As for the aero, KC from APR set me up with a splitter. And to help me minimize my expenses for Nationals, my friends stepped up to the plate and gave me their wings. 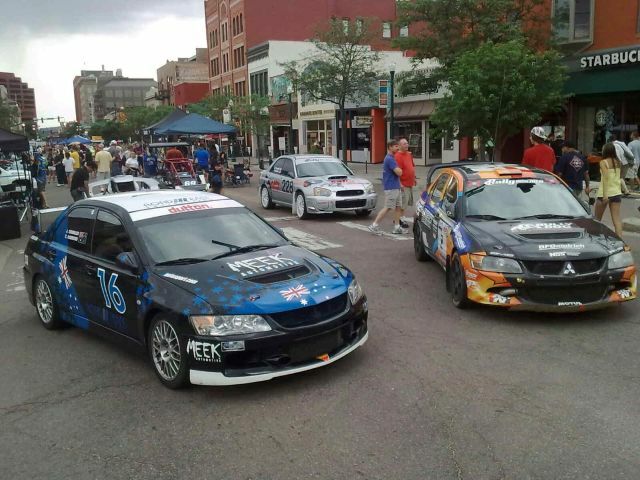 Sean Bradley gave me his APR GTC-200 wing off of his STi, and Scott Pennock gave me his GTC-300 wing off of his Evo. Not to mention the scores of hours Mike invested in fabricating all the supporting components. The work was extremely meticulous and time consuming but Mike made it all enjoyable. I also want to thank my fellow racers. The competition grew significantly this year, and the majority have stepped things up. On top of that, we had some seasoned drivers join us with some pretty fast cars, 2 Corvettes and a blisteringly fast Porsche. I got to know some of the drivers I met in 2009 a little better, and met some new people in the meantime. It’s been an honor to race against these guys, and I’m looking forward to trying to battle with them next year. If the 2011 season progresses at this rate, the potential is there for some even more competitive racing. 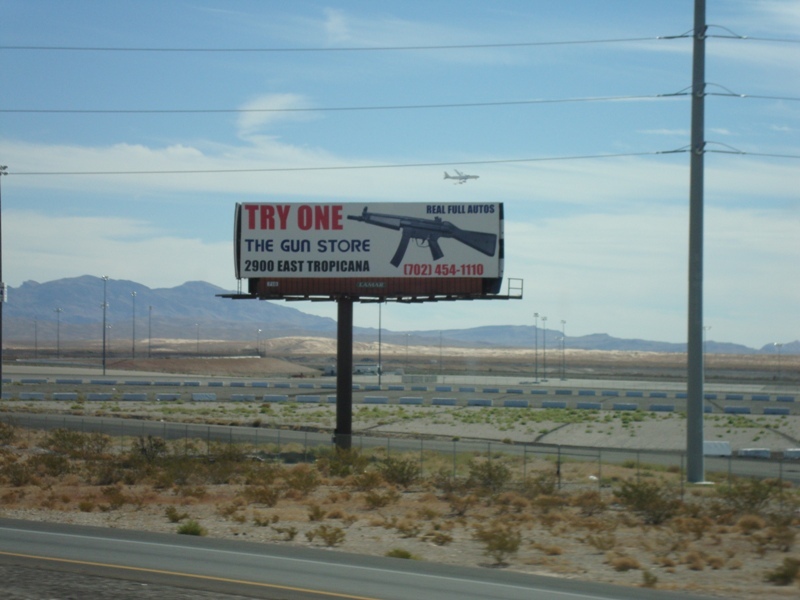 – RRE: Mike Welch, Robert Ramirez, Scot Gray, and the entire RRE crew. – Robispec: Rober Fuller, a.k.a. Robi, and his crew for providing me trackside suspension tuning at my races. – Girodisc: Martin Meade for providing me 2pc rotors and Raybestos brake pads. 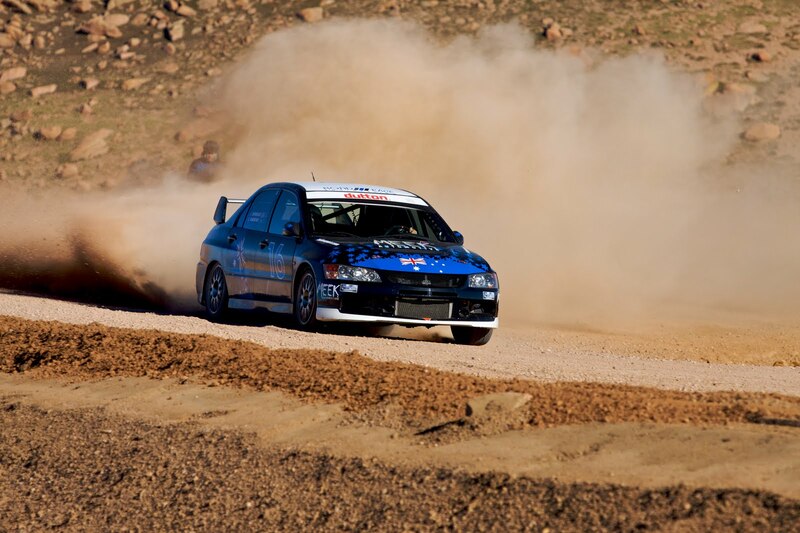 – South Coast Mitsubishi: Rigo, Sam, Abbas and everyone else for all their support. – APR: KC for setting me up with a splitter and all the other little things. – Crew and Friends: Robert Ramirez, Sean Bradley, and Mark Homer. 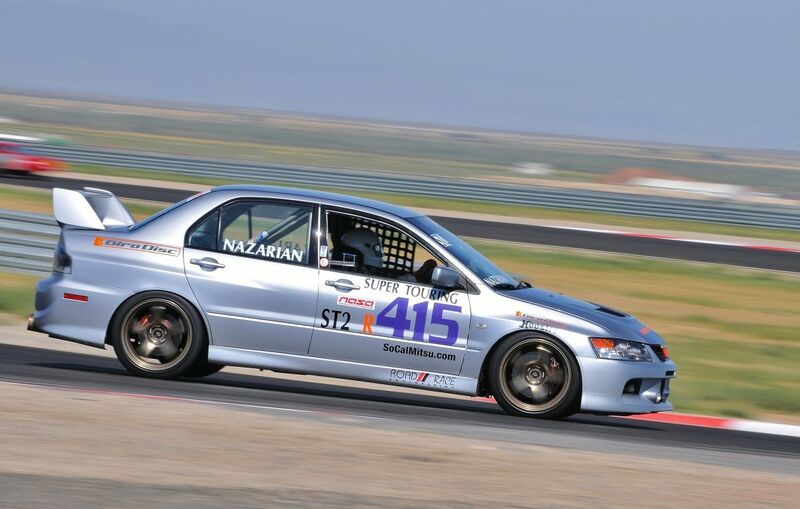 Ed Nazarian racing his RRE Evo 9 at the 2010 NASA National Championship in Super Touring 2 at Miller Motorsports Park (MMP), in Utah. This is in-car footage of the National Championship race. 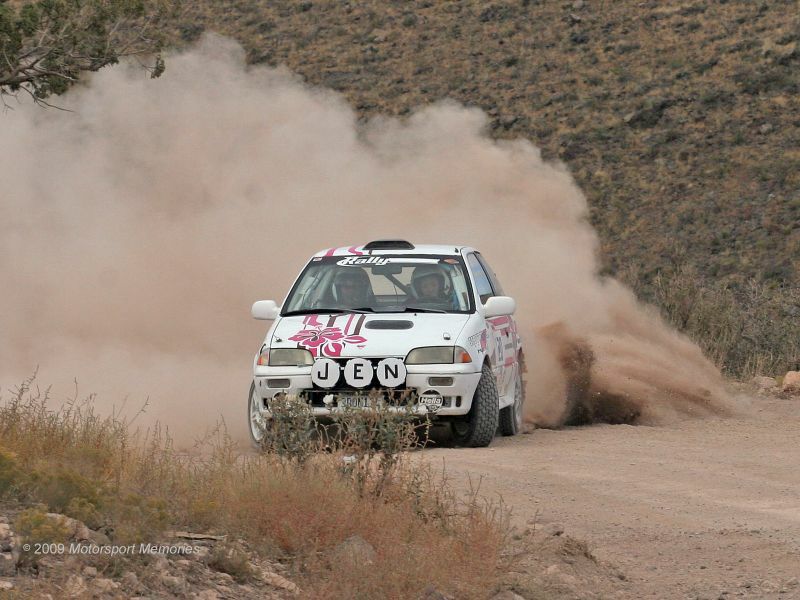 ST2 had about 26 entries, but a few of them broke down before or during the National Championship race. There were 19 ST2 cars listed for the National Championship race, and Ed was in P10 for the start. Ed was battling with 5 of his competitors during most of this race. They exchanged positions several times. After Ed took the lead amongst that pack, his brake pedal fell nearly on the floor. Because of that he had to let 2 of his competitors pass him. Ed had to back off a bit and continued the race one corner at a time. He had to pump his pedal several times before every braking zone to make sure his pedal would holdup. 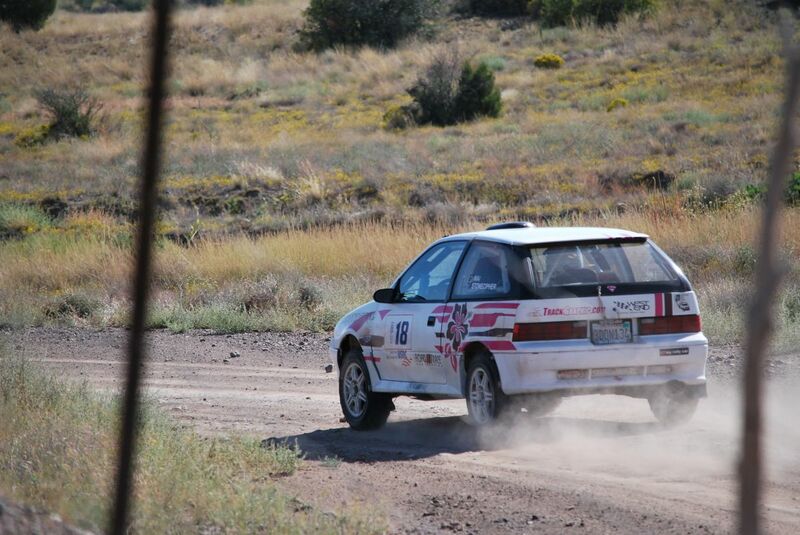 One of his competitors he let by was Scott Howard, driver of the white 1st gen Mazda RX7, who went on to take 2nd place. Major congrats to Scott considering the troubles he’s had the last 2 years at Nationals. The other was Jim Wagaman, driver of the yellow Mazda GT. After letting Jim by, Ed was able to keep him within reach. Unfortunately, NASA ended the race a bit short due to excessive oil spills. If it wasn’t for that Ed would have had a chance to battle for 5th. 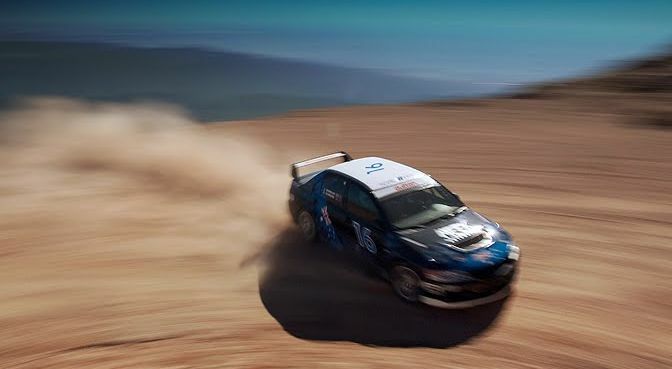 Beyond that, if Ed had an optimal brake pedal, he would have been in a position to battle for a podium, but that’s racing. As always, a certain amount of good/bad fortune plays a factor for everyone. Ed ended up in 7th place, so it was a successful finish considering the circumstances. 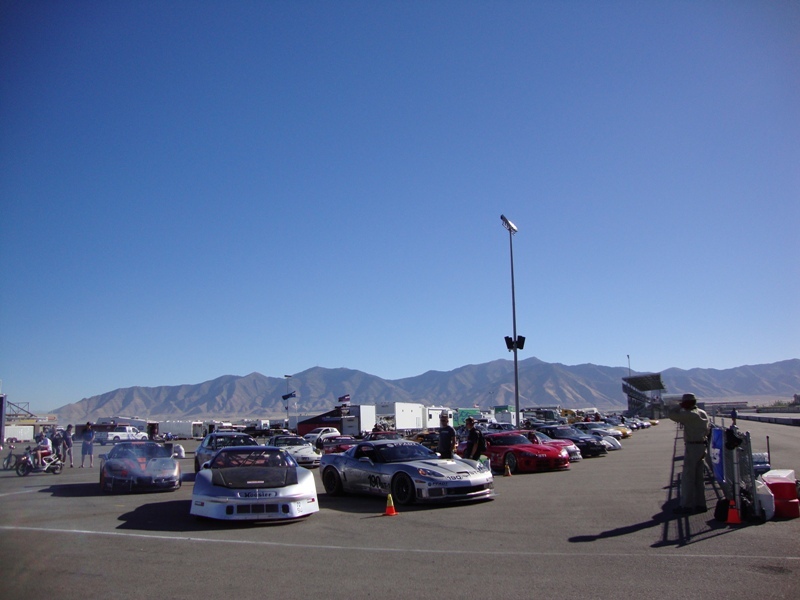 The 2010 NASA National Championship was September 14-19 at Miller Motorsports Park (MMP), in Utah. We were racing on the Outer course again this year, which is listed at 3.06 miles. I was there racing my RRE Evo 9 in Super Touring 2. 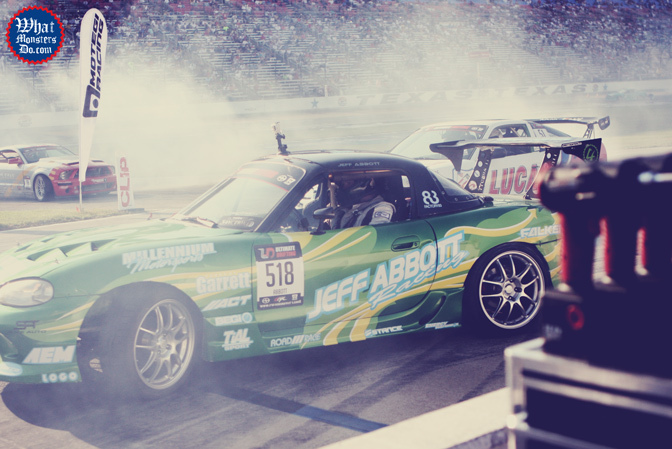 Last year was the first time I had raced at MMP, let alone driven the track. And I left MMP with not much interest in the track. It just wasn’t a track that thrilled or interested me. I’m really not sure what happened this year, but I left with the exact opposite experience. I really enjoyed the track this year and left wanting more of it. The competition this year was fierce and diverse. There were around 3 times as many ST2 entries this year. 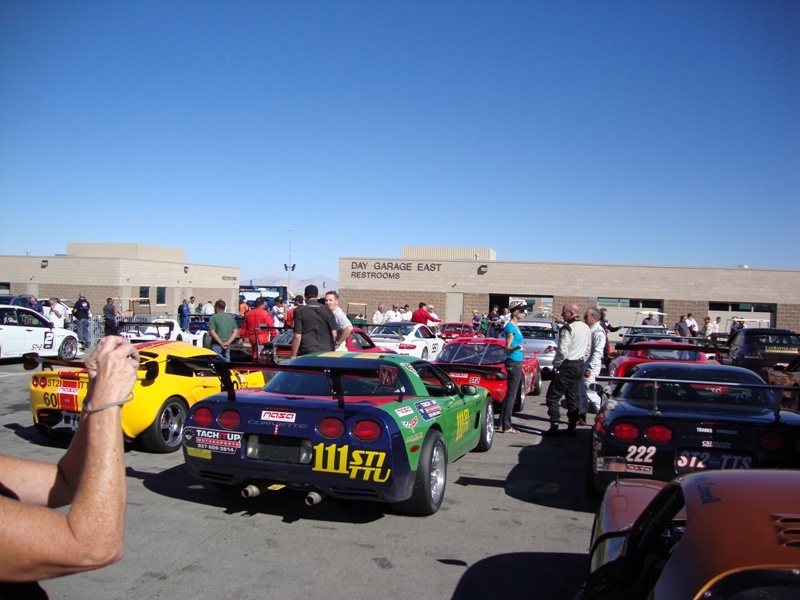 I don’t know how many ST2 racecars were there, but from what I recall there were around 26. However, we lost a few by the final National Championship race on Sunday. And iirc, 4 people didn’t finish the National Championship race. NASA’s Nationals is brutal because on top of it being our National Championship, it’s 3 days of racing. And the National Championship race is 45 minutes long. So NASA’s National Championship is more like a marathon of races, as opposed to 1 race. Despite trying to be well prepared, you really have to be somewhat lucky because anything can and will happen, especially with 3 days of racing. 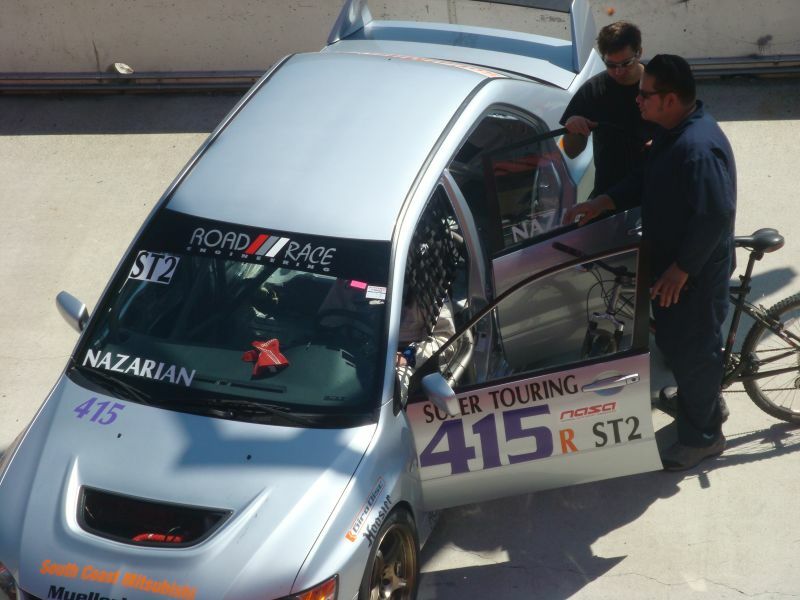 Last year I was the first to be racing an Evo at MMP for NASA’s National Championship. This year I wasn’t alone. 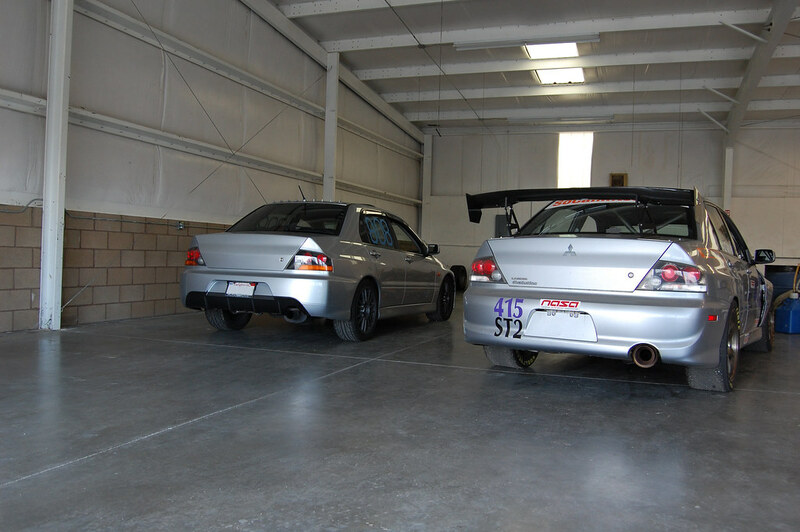 A Socal Honda Challenge racer was racing in H2 with his Integra, and ST2 with his Evo 9. 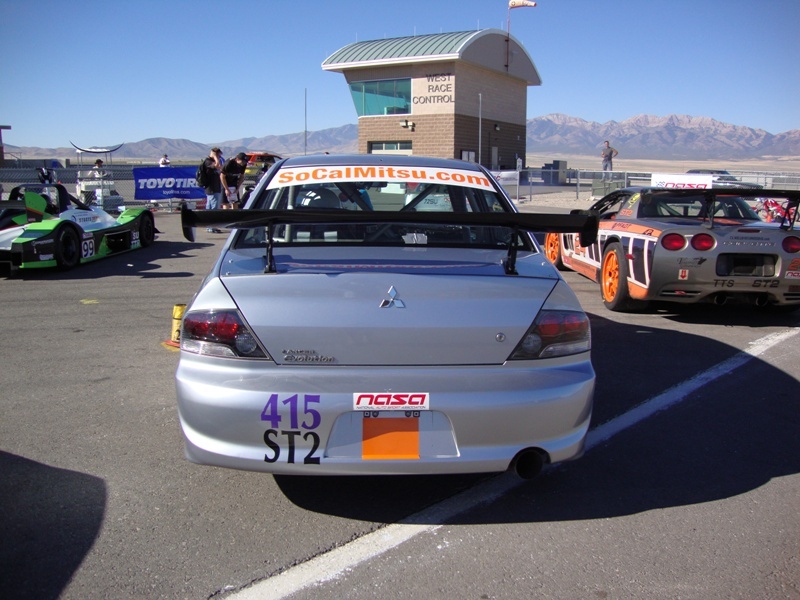 There was also a guy racing an Evo in ST1, who I think is a MMP local. Although, I barely saw them on track. I think both of them were having some sort of issues. As for me, I didn’t have any major challenges. I started and finished all 3 races. 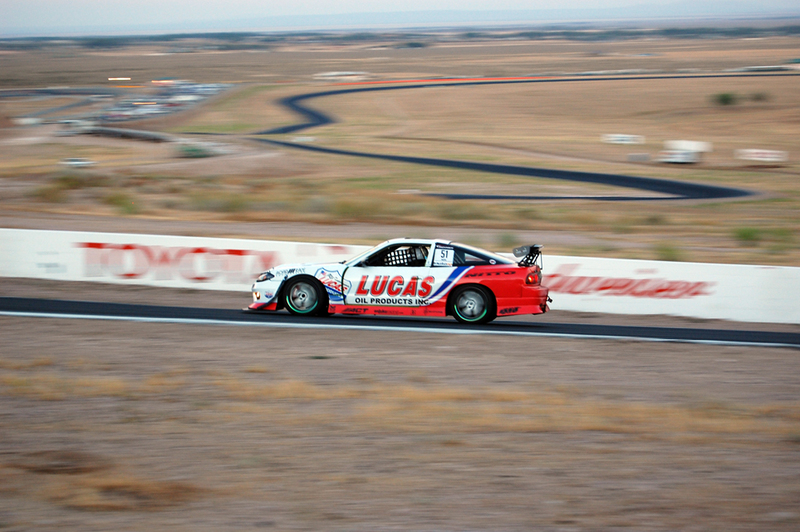 The only major challenge I had was trying to get used to my new aero on a track that I have very limited seat time on. As I noted in my previous thread, my new aero consists of an APR splitter that’s coupled with an APR GTC-200 wing. KC from APR set me up with the splitter. As for the wing, to help me minimize my expenses for Nationals, my friend Sean Bradley gave me his APR GTC-200 wing off of his STi. My friend Scott Pennock gave me his GTC-300 wing off of his Evo also, but I ended up only using Sean’s 200 wing. 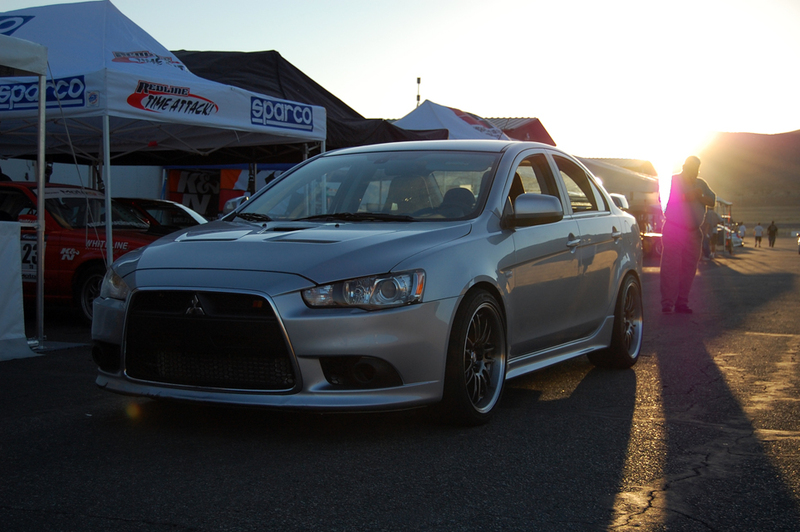 Sean’s wing is slightly different than the Evo version, but we made it work thanks to Mike Welch, owner of RRE. The dimensions of the wing are identical, only differences are the size/shape of the end plates, and the location of the wings mounting brackets. 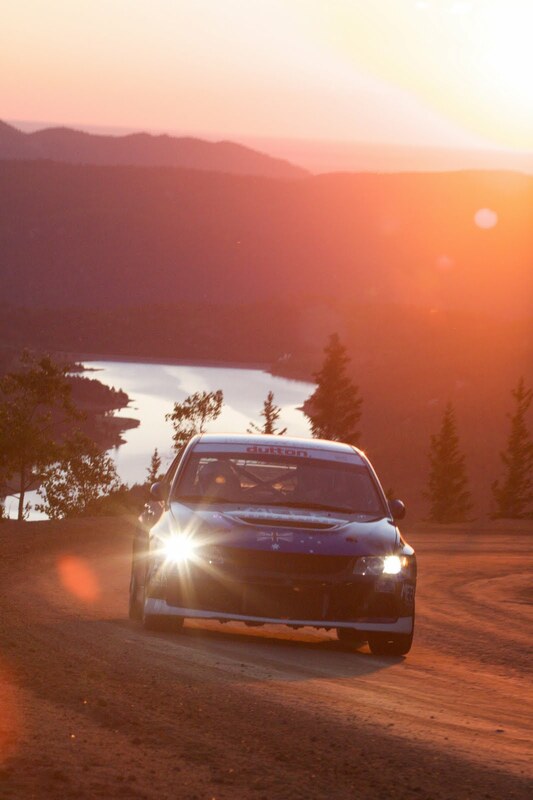 Before anything else I want to thank all my sponsors, RRE, [forum-restricted]spec, Girodisc, South Coast Mitsubishi, and APR. Without their support I would not be able to do all of this. My racecars home away from home is at RRE. I’ve spent many long nights at RRE prepping under Mike’s wing. For instance, Mike spent a great deal of time fabricating and installing my splitter and wing. It was a great deal of meticulous work, but he made it enjoyable. I can’t say enough good things about Mike and his crew. He is such a genuinely good person. I truly enjoy working by his side. More than anything because he is patient, and has the capacity to explain just about anything in the simplest way. I didn’t grow up around cars, so I’m the furthest thing from a gearhead/grease monkey. Not everyone has the capacity to teach, but Mike is one of those rare people. Not only has he been around, but he also has the capacity/wisdom/patience to teach without coming across as arrogant/condescending. So, did my new aero and brake ducting help? Yes. But I’m not sure by how much because I don’t have a comparable reference point for MMP. I’ll know better when I run ACS in Socal. I can say that my car feels different with the aero. And I can tell that my new brake ducting is helping, but it has its limit. With my experience, I can now say that if I want to maintain faster lap times in a race, I can’t do it with the OEM calipers. I have proven that the Girodisc rotors work, but they can only do so much. There was 1 factor that put me at a disadvantage compared to everyone else. NASA couldn’t get an AWD dyno this year either. Last year they found a MMP local with an AWD dyno. And I went last year to test on that dyno, but it was malfunctioning. That dyno was malfunctioning this year also so NASA tried locating another one. They tried, but they couldn’t get anyone to commit. So while everyone else (RWD, FWD) had the opportunity to check their power at MMP and to tune their car on the 2WD dyno, I couldn’t. NASA did however have GPS units that they used to monitor a lot of people, including me. I requested that they monitor me all day Thursday so I knew where I was at. That way, if I was down on power I could at least take ballast out of my car. Problem was that they were busy and fell behind, so they didn’t get a GPS unit on my car until Friday. That hurt me even more because I pretty much lost any chance I had on Thursday to adjust my weight. So I basically went into the 2nd day without any real progress on my setup. Although, they sincerely apologized, and went out of their way to help me out. They finally got some data of me on Friday, and that’s when I found out that I was down on power. They told me by roughly how much I was down on power, however, it didn’t really help me because they weren’t allowed to tell me what my actual numbers were with whatever other math they needed to apply to that data. So I knew I was down on power, but I didn’t know exactly by how much. Therefore, I didn’t know exactly how much ballast I could remove. Best case scenario, I figured I could have been close enough to making the power I needed with their calculations, but there could have been something funky happening in my powerband. Keep in mind that my car was tuned in Socal, so maybe at MMP’s elevation, around 4,400 ft., my powerband wasn’t as efficient as it could have been. It’s not a comforting feeling knowing my car is potentially down on power by enough of a margin, and I can’t really do anything about it because there isn’t an AWD dyno. Meanwhile, my competitors have the opportunity to tune their cars at MMP on the 2WD dyno. As I noted before, this year I was able to start and finish all 3 races (Thursday, Friday, and Sunday). My focus was to make it to Sunday, so my plan was to progressively get up to speed. We started off with around 26 cars in ST2, but a bunch of them had some sort of issue from the first day. Conversely, everything worked out well enough for me on Thursday. I qualified in 13th place, and finished the race in 11th. I also improved my time in the race by about 1.5 seconds. I was basically on track with my plan of attack. Only issue was that after the race I found out that one of my rear brake pad pins and the clip was missing. It was a first time for me. I called Mike at RRE and he immediately shipped me replacement pins and a clip overnight. Friday started off well in Qualifying, because I improved my time from Thursdays Qualifying session. I also improved 2 spots by starting the race in 11th, but my race didn’t go as well. PTA was mixed in with us, but they only had 3 entries. However, only 2 of them were competitive. One of the PTA cars, I think it was a turbo Miata, dive bombed a few of us. He was clearly a fast driver with a really fast Miata. Since my goal was to make it to Sunday, I didn’t want to tangle with him, or anybody else for that matter. On the other hand, it didn’t seem like he had the same plan, so a couple of us got stuck behind him. He was clearly trying to use us to put some distance between himself and the other PTA driver. We were all bunched up so I kept my distance and didn’t really bother trying to pass anyone. Saturday was our groups day off, so I spent pretty much the entire day relaxing and getting ready for Sunday. Everything went smoothly and I was ready to go. Sunday’s race was a great deal of fun. I was in P10 out of 19 ST2 cars listed. For me, it was intense from start to finish. Since I was hit last year at the start of the National Championship race, which ended my race, I wasn’t sure what to expect out of a 45min race. All my other races thus far have been 35min races. You can see how it all went down because I have in-car footage of the entire National Championship race. What basically ended up happening is that my brake pedal fell nearly on the floor. In the meantime I was battling with about 6 other ST2 cars. We exchanged positions several times throughout the race. I finally took the lead amongst our pack, but my brake pedal didn’t have the capacity to allow me to stay competitive, so I let 2 of my competitors pass me. 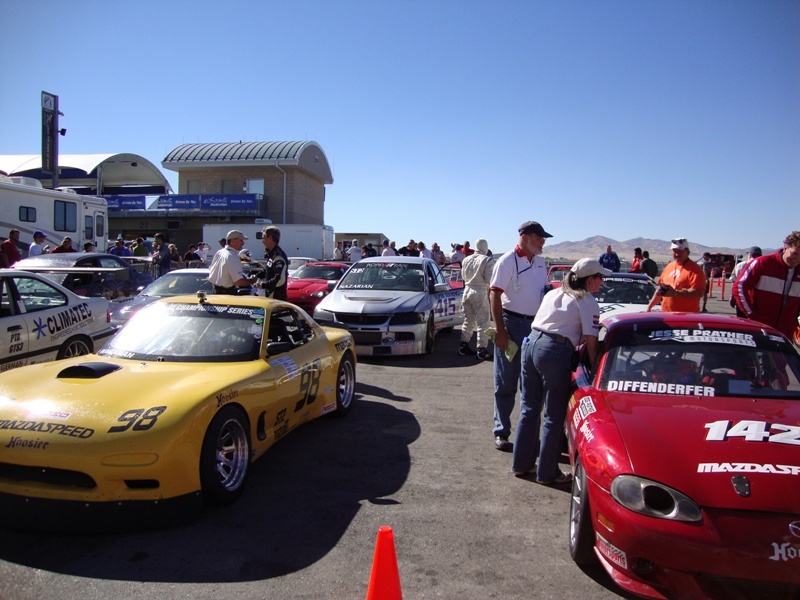 One of them was my friend Scott Howard, racing his White 1st gen Mazda RX7. Scott went on to take 2nd place. Major Congrats to Scott, especially considering the issues he’s had the last 2 years at Nationals. 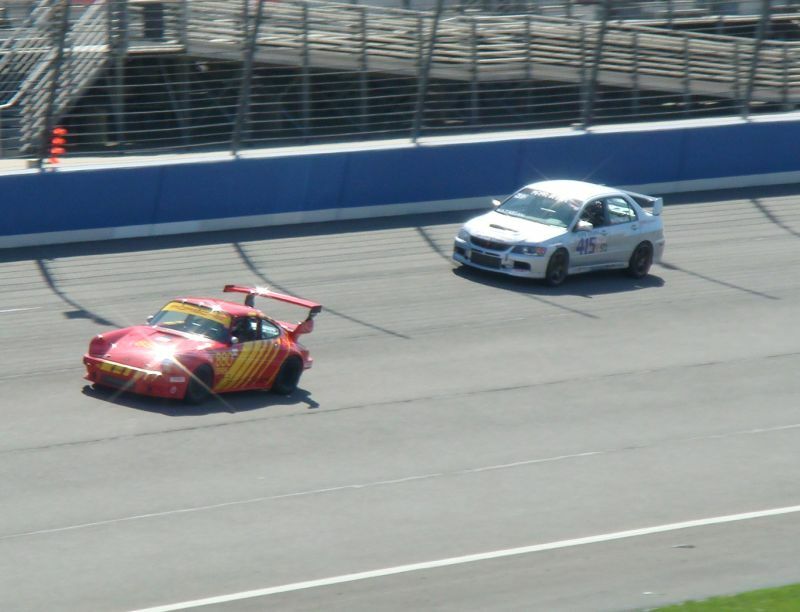 The other driver was Jim Wagaman, driver of the Yellow Mazda GT. After letting Scott pass me, I thought about ending my race, but decided to stay on for a bit longer. I had to back off and focus on taking it one corner at a time. 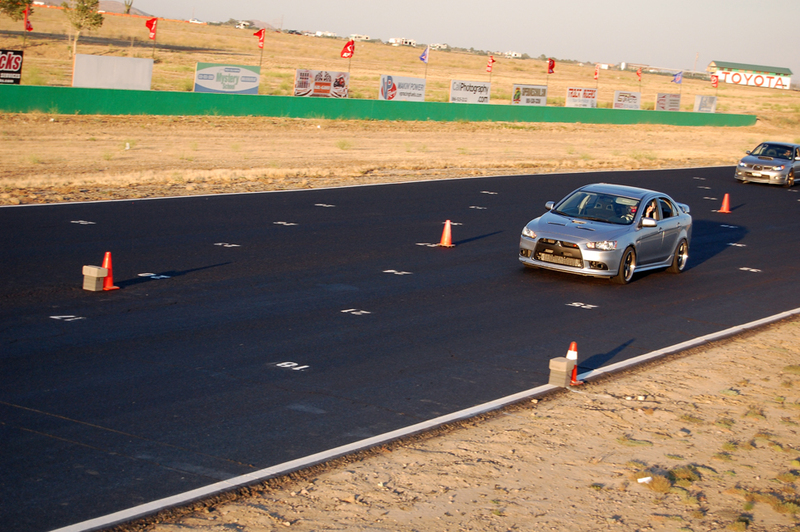 The only way I was able to do that was to pump my pedal several times before every braking zone. For the longer straights I actually had to pump my pedal in 2 sets. Around 3/4 way down every long straight I’d apply 1-2 pumps to make sure my pedal still had the capacity to rise. Then before the braking zone I’d start pumping again to prepare the pedal. All the while I was able to keep Jim within reach, and with about 2-3 laps to finish we closed the gap on Josh Carroll, driver of the Bronze Mazda GT. Josh clearly had some sort of issue also. However, NASA ended our race a bit short. We were told it was due to oil spills. I remember hearing of 2 cars specifically that dumped a bunch of oil all over the track. If our race wasn’t cut short, both Jim and I would have passed Josh in that lap. And since Jim wasn’t pulling away from me, I’m confident that if I had the entire race I would have had an opportunity to pass him again. Furthermore, if I had an optimal brake pedal, I was in a position to battle for a podium. Either way I’m happy with 7th place given the circumstances. If you watch my entire race you will see how busy my left leg gets pumping my pedal before every corner and down the long straights. It was another great experience. Beyond all that, a certain amount of good/bad fortune pretty much always plays a factor also. Here are some examples of people I know of who weren’t fortunate. Ryan Cashin blew his engine on the first day and never got to race. Oli Thordarson had a puncture in his oil filter during the National Championship Race and had to pull off on the warmup lap. 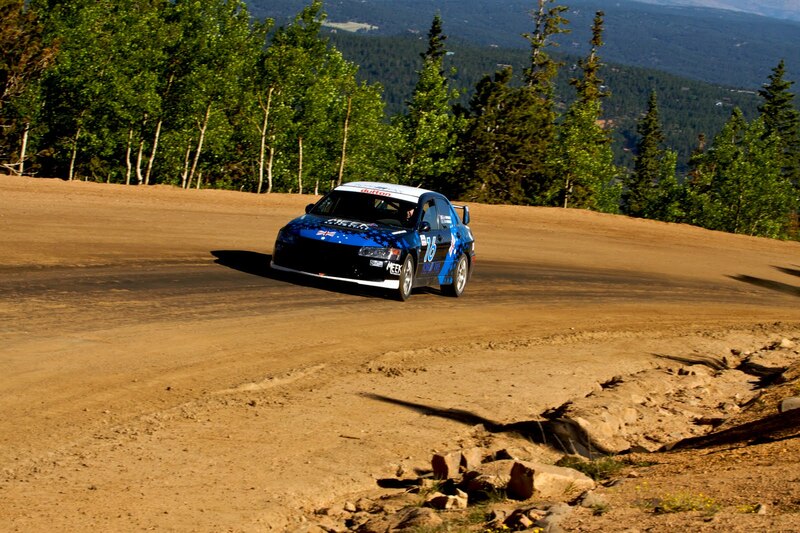 John Gordon was dominating all week by winning both Qualifying Races, and also set the fastest lap times. However, John’s car broke down in the National Championship Race. I’m not sure but I think it was due to a blown engine. Basically, anything can and will happen in a race because despite trying to be well prepared, a certain amount of good/bad fortune always comes into play. 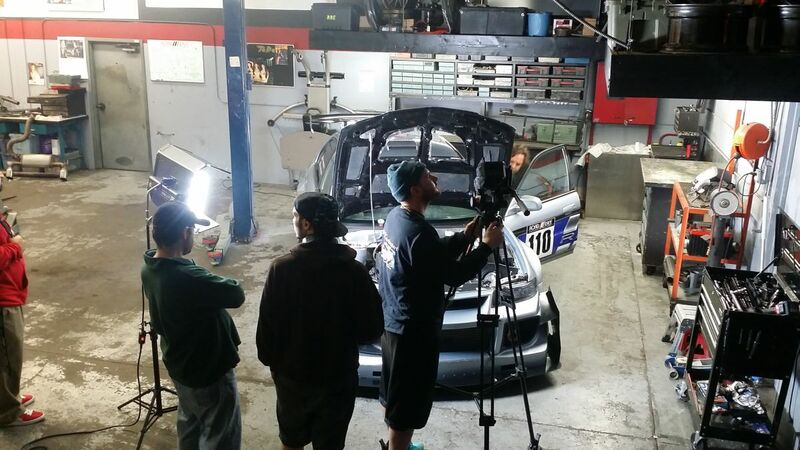 – RRE: Mike Welch and the entire RRE crew for everything from tuning, to maintenance, to everything in between. – Robispec: Robert Fuller, aka Robispec, and his crew for providing me trackside suspension tuning. 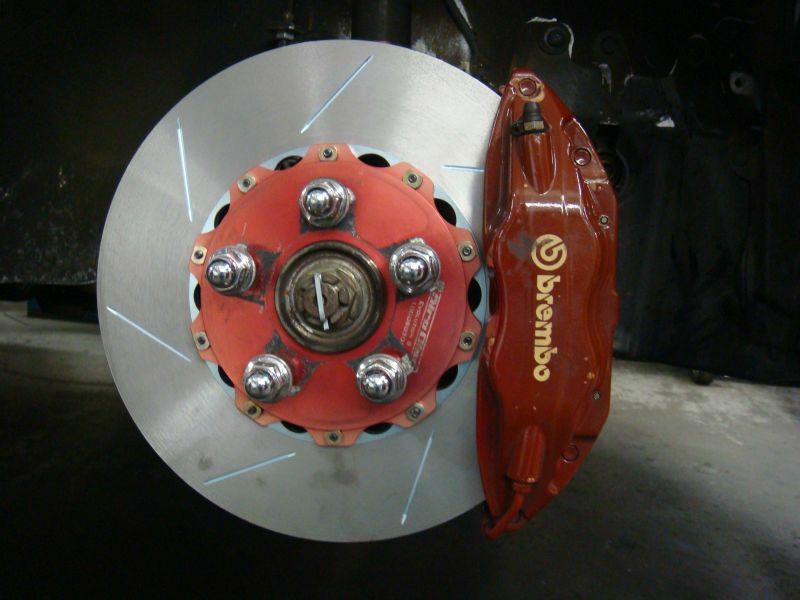 – Girodisc: Martin Meade for providing me phenomenal 2pc rotors and Raybestos brake pads. 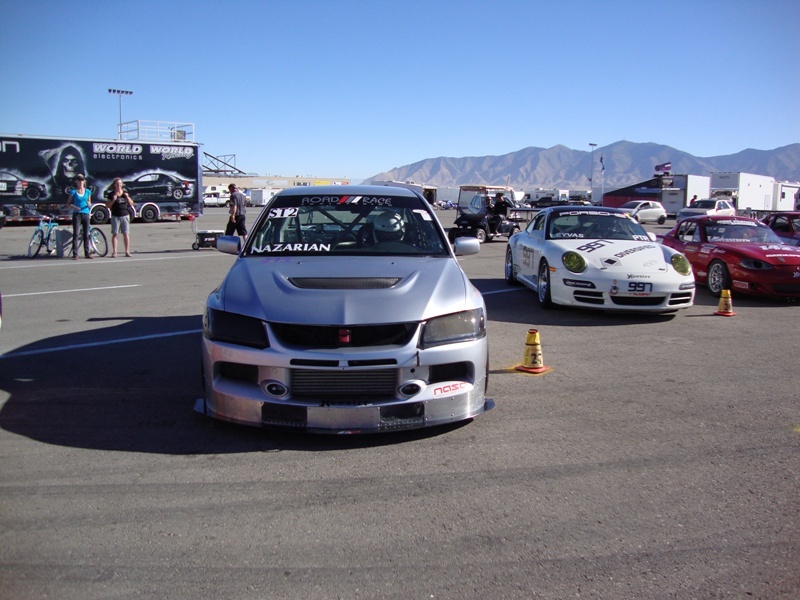 – Friends: Sean Bradley for giving me his APR GTC-200 wing off of his STi. 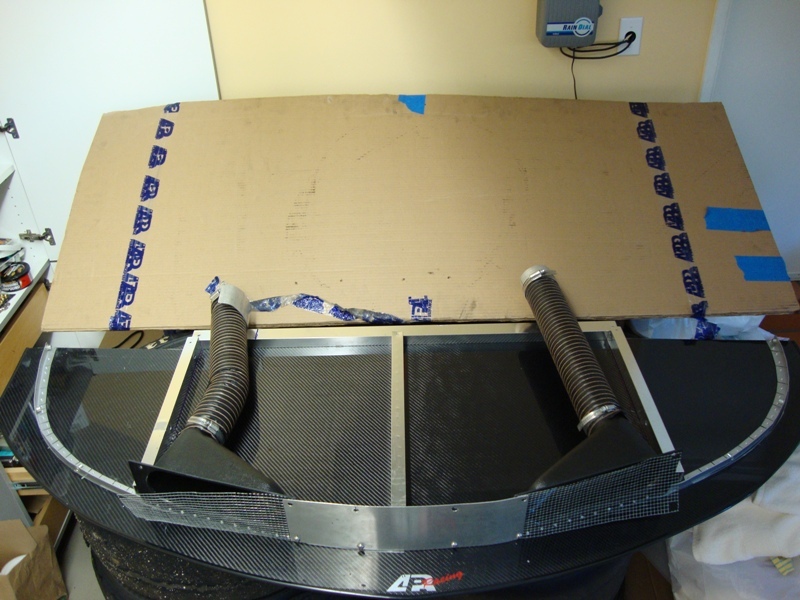 Scott Pennock for giving me his APR GTC-300 wing off of his Evo. And also a thanks to Matt Dennison and Sean Sisco for going out of their way to help me out.